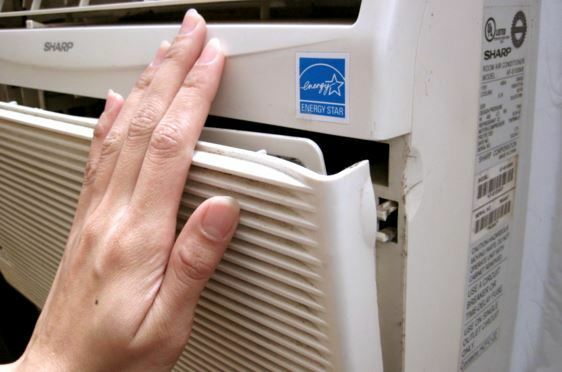 Just like most home and office appliances, your air conditioner also requires regular maintenance to work at an optimum level. Doing this will give you the best chance at staying cool during the hot months, as well as prevent emergency breakdowns. To ensure a properly maintained air conditioning system, Mountain Home’s Montgomery Heating & Aire employs top-notch service delivered by their experienced specialists and technicians. They offer tips, so you can save money on your energy bills and unexpected repair costs. When the air conditioner filter becomes full of dirt, dust, and allergy-causing particles, the air flow decreases, which causes your system to work harder than usual. To prevent allergy triggers and higher energy consumption, clean your reusable filter every month. Replacing it is also recommended at the start of a new season when the unit is expected to work its hardest. Remember to turn off the air conditioner before examining the condenser unit. Turn your attention to the fan mounted on the outside condenser unit and make sure the blades are devoid of any cracks or chips. You will also have to get rid of any debris and obstructions like leaves or shrubs, which might affect the air flow to and from the air conditioning unit. There are other maintenance tasks requiring performance by certified experts. Refilling the unit with Freon coolant and checking the unit’s wiring and components are examples of such tasks; they have the tools and equipment to do these jobs accurately and safely. For residents of Mountain Home, Arkansas, and surrounding areas, Montgomery Heating & Aire is the company able to meet their air conditioner maintenance needs. Inquire about their services today by calling (870) 435-1501, or send a message through the website.